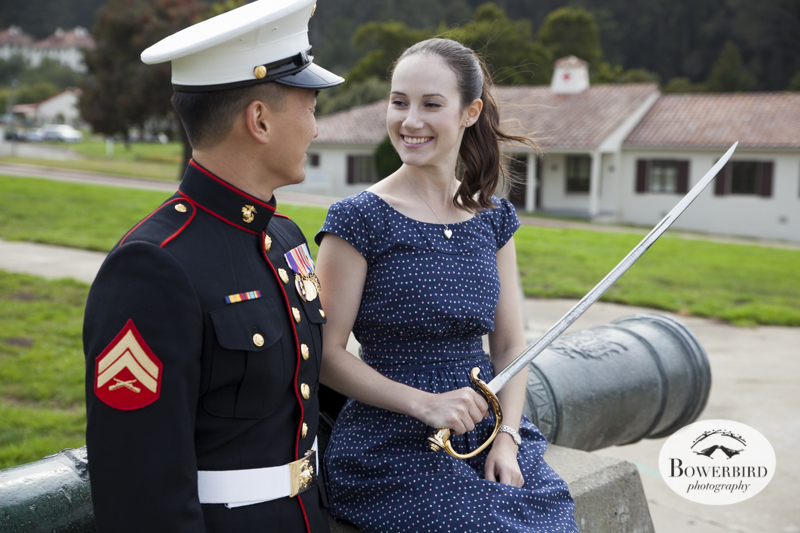 You two arrived to your engagement photo session in the Presidio and looked so sharp, we felt like saluting. Daniel, your shiny buttons and medals gleamed brilliantly wearing your Marine Corps dress blues, but brightest of all was your smile as you looked at Danielle. Danielle, you stunned in a blue dress, with a retro-inspired cut with playful polka dots. This was no simple uniform to throw on in a jiffy, but took a ruler to make exacting measurements, with each medal placed perfectly. We love how you both embraced the natural beauty of the Presidio, wandering through the trees and the summer fog, as it blew in over San Francisco. 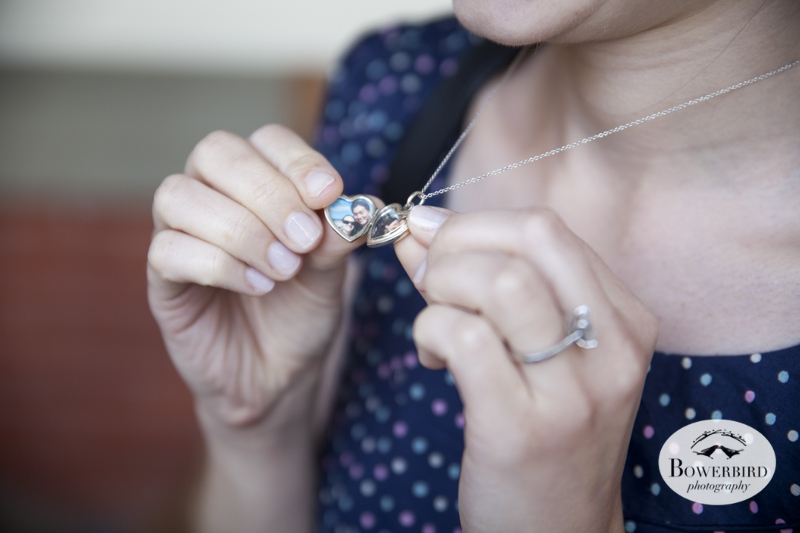 What a beautiful day to soak it all in and enjoy the last few moments of your engagement. We can't believe you will be saying I DO in just three weeks! Super excited to celebrate with you both! 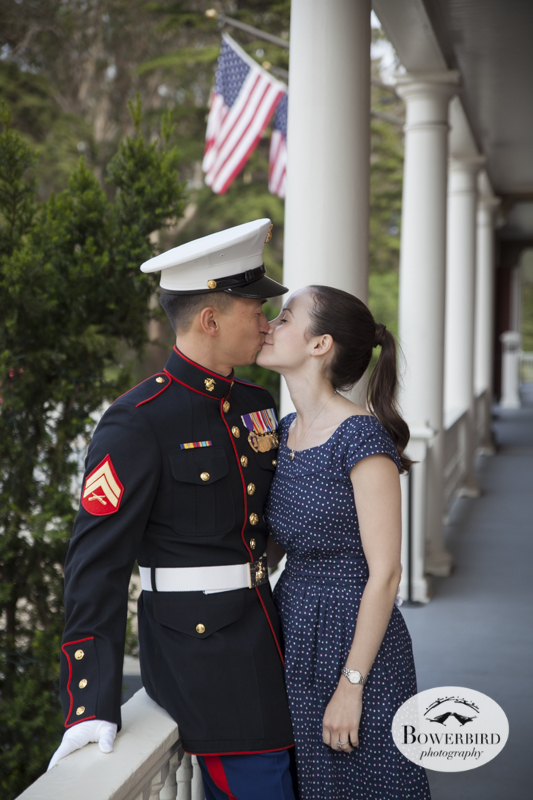 Enjoy this peek at your romantic engagement photo session, starting at the Inn at the Presidio, and ending with a stroll down Lover's Lane. You two make us swoon!